At the brewery, our brewer Jonathan aims to make quality beers with great flavour, using ingredients that are locally sourced wherever possible. We would like to introduce to you our four bottled varieties of beer and our cider. We are working on creating exciting new flavours all the time so do check back to see what else we have developed. 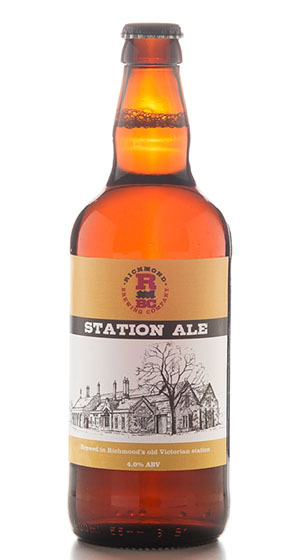 Named after the home of our brewery, Station Ale is a refreshing, golden coloured beer in the English bitter style. With a clean, crisp bitterness and subtle fruit and floral aromas, it has a smooth, light body. 4.0% ABV. 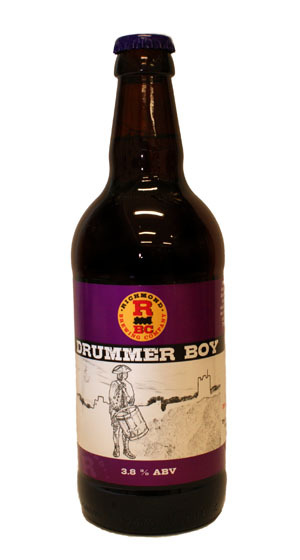 A recent but popular addition to our range of cask ales, Drummer Boy is a copper coloured, easy-drinking session ale made with Maris and Dark Crystal malts, hopped with Sovereign for a subtle, slightly citrus finish. 3.8% ABV. 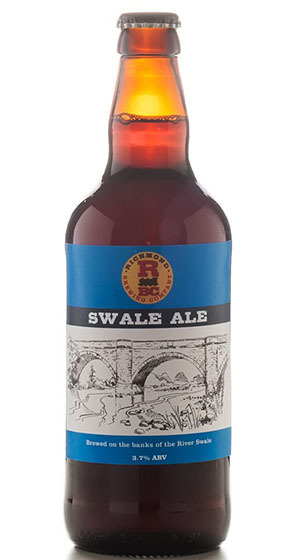 An amber coloured ale with a sweet, malty flavour and extra body as well as aromas of citrus and toffee. 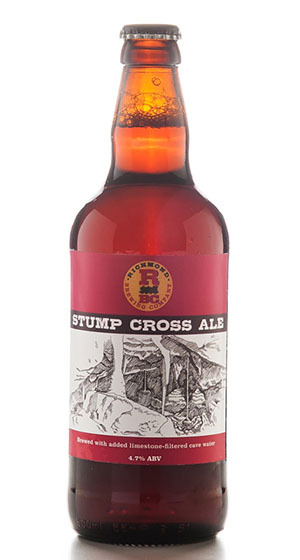 We add limestone filtered cave water from the Stump Cross Caverns in order to add an extra dimension to the beer. 4.7% ABV. A fruity cider made with local apples picked in the orchards of North Yorkshire. 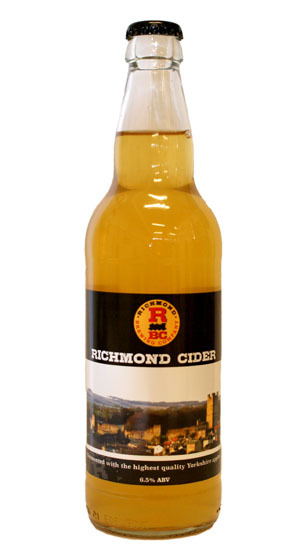 Richmond Cider's great taste is very drinkable and will have you quickly coming back for more! 6.5% ABV. A very drinkable dark brown ale with a smooth, roasted coffee flavour and a light body and bitterness. The same colour as the beautiful River Swale as it winds and falls through Swaledale, the most beautiful valley in the Yorkshire Dales. 3.7% ABV.